Thanks for your interest. Your support is very important to us. BikePortland’s audience is large and influential. Our readers are engaged and active in our comments section, on social media and within their communities. 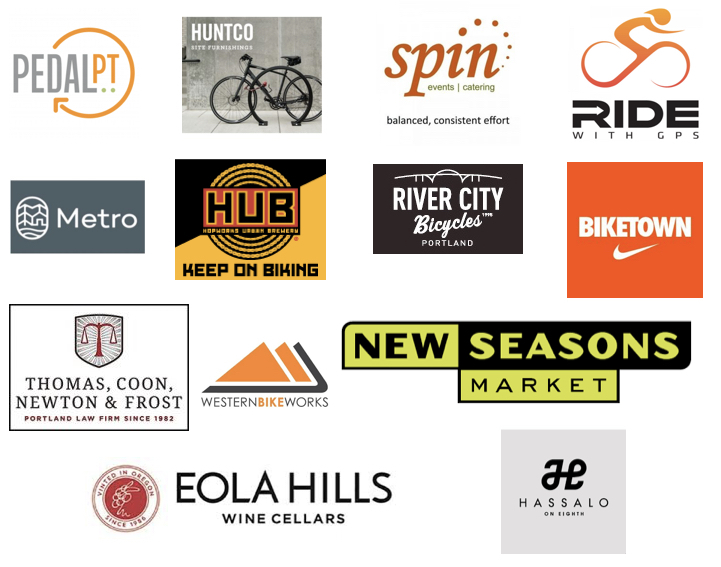 We respect our audience and want to partner with brands and businesses who “get” that BikePortland is both a news outlet with an impressive daily reach and a powerful source of advocacy and community-building that’s making a real difference. We can work with you to create an ad campaign tailor-made for your goals, timeline, and budget. Interested? Contact our founder, publisher and daily news editor Jonathan Maus at (503) 706-8804 or jonathan(at)bikeportland.org. BikePortland is here to inform, support and build our community. We believe that honest, independent, local journalism is a basic building block of a healthy city — especially when that journalism promotes the healthiest, most efficient form of transportation ever invented. Local businesses are vital to making Portland great and we love helping them succeed. Far from a necessary evil, we see advertising as a partnership. Our goal is to create advertising that supports our work, achieves your marketing goals, and provides value for our audience. We publish 2-5 stories a day on our blog, send a handcrafted newsletter to our most loyal fans once a week, mail out our daily headlines every morning, maintain a comprehensive bike-related events calendar, offer a job listings service, organize off-line events, keep our social media accounts well fed with original content like videos, photos, and commentary — and much more. If you’re looking for quick clicks (a respectable goal), you might be better off using search engine marketing. We’re not cheap. Because we’re a very lean operation (we’ve never had more than one full-time paid employee) we don’t have the capacity to work with a large number of partners. We prefer to work on deep partnerships with a manageable amount of clients who are ready to commit for at least three months (although we regularly do shorter campaigns). That being said, we have a wide range of options that fit almost any budget. Our basic business subscription is just $30 a month and will get you a link in our sidebar, ability to post press releases, and social media mentions. People who follow BikePortland are smart and engaged influencers who love cycling and are fiercely loyal to local brands and businesses. Let us introduce you and connect your stories, services, and products to our audience. Here are some of our most common ad campaign elements: blog content sponsorship, email newsletter sponsorship, social media posts, featured event listings, banner ads, special coverage sponsorships, sponsored blog posts, and more. What are your ideas? Here’s just a sample of who we’ve worked with over the years. We’d love to work with you. Drop us a line to have a campaign custom-fit to your needs. Email jonathan@bikeportland.org.